Fire alarms are vital in any home. 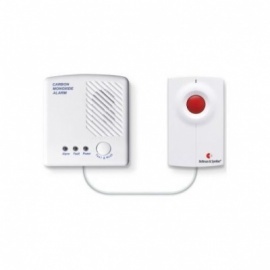 Helping protect you and your family, a standard fire alarm will emit a siren to alert the inhabitants of any danger. But what if you have a hearing impairment? 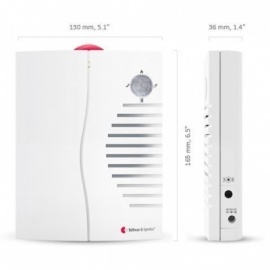 The Bellman Visit Ionisation Smoke Alarm is designed with the hard of hearing in mind, ensuring that you too can be alerted in order to be as safe as possible in your home. 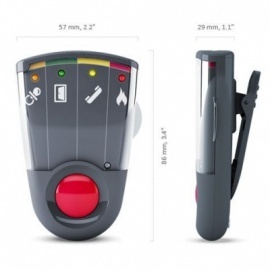 Ionised smoke alarms are typically more effective at identifying rapidly spreading, flaming fires. 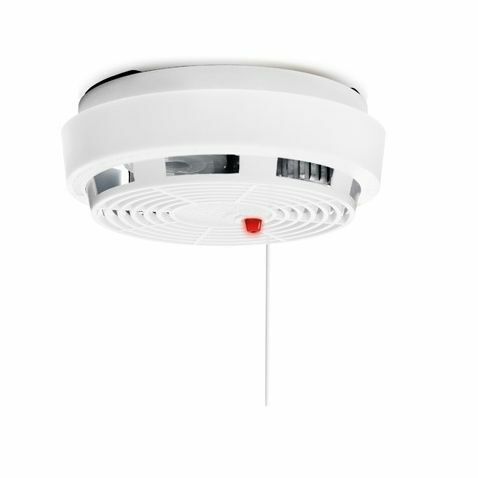 How Does the Ionisation Smoke Alarm Work? The alarm transmitter system uses radio signals and receivers to notify you of potential fires in your home. 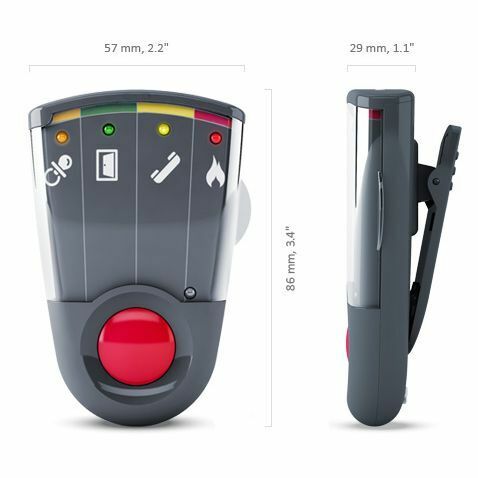 The receiver will pick up any transmission and convey this potential danger to you using a light, sound and/or vibration signal. 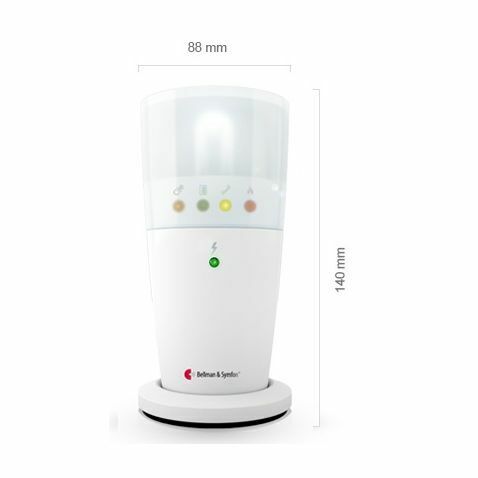 The alarm features battery supervision to warn you when it is running low, and it's also impossible to mount the alarm without the battery, ensuring that you'll never be without protection. 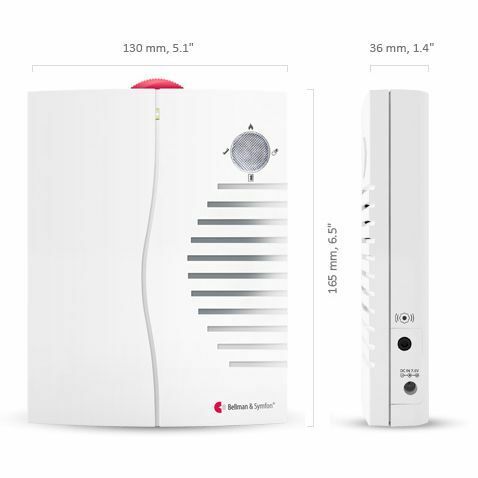 Highly sensitive and compact, the Bellman Ionisation Smoke Alarm will help you sleep a little easier with the knowledge that you will be alerted if there is a fire. 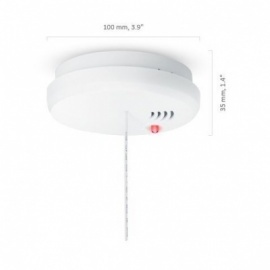 For best coverage, the Smoke Alarm's antenna should be straight and pointed directly down. The Smoke Alarm should ideally be placed in the centre of the ceiling, at least 50cm from any wall. Avoid installing in kitchens, fireplaces or garages to prevent confusion with cooking fumes and car exhausts. The Smoke Alarm should not be fitted in damp spaces, close to fans or in agricultural buildings, and should not be painted over.